Emigrate is a metal band based in New York, led by Richard Z. Kruspe, the lead guitarist of the German band Rammstein. Kruspe started the band in 2005, when Rammstein decided to take a year off from touring and recording. In many interviews, Kruspe says the idea for Emigrate came to him around Rammstein’s Mutter era. On September 5, 2006, members of the Rammstein.de newsletter were sent an invitation to the Emigrate newsletter and given the chance to download the song “Wake Up", a sneak peek of the upcoming album. 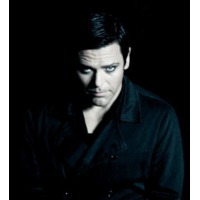 Three song samples were also posted on Emigrate’s website: “My World”, “Babe”, and “Temptation”. Fans voted “Babe” as being their favorite, and newsletter recipients were allowed to download “Babe” in its entirety starting November 29, 2006. On May 21, 2007 the Emigrate Official Website opened and “My World” was made available for download, in its entirety, to newsletter subscribers.